Mobilee debut at Egg LDN… In style. You are here: Home / reviews / Mobilee debut at Egg LDN… In style. Still a hot spot in the heart of Northern London’s club circuit, Egg spoiled us once again with another cutting edge party hosted by the kings of the Warehouse scene LWE, showcasing Mobilee Records. With what seemed a pretty baltic start to the year, this was only to be a night of deep, hot, infectious house to unfreeze your senses back to life. 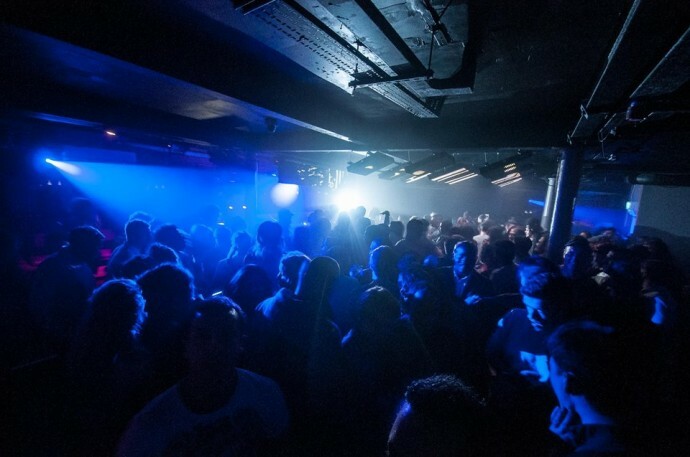 With 3 floors of house and techno packed rooms, the infamous venue was kitted out with sound systems and light shows to inspire and sustain people into the early hours of Sunday Morning. Churning out 10 Years of some of the most popular tunes in House Music, Mobilee has produced many of the biggest names to hit the decade including Solomun, Nicole Maudaber, Catz n’ Dogz and tonight would be the premier for the likes of Re.You, Igor Vicente as well as a live set from And. I.D. The great outdoor space, known as EGG’s spectacular Garden, was one of the first things to experience on arrival and had been transformed into a terrace of festive foliage. Downing one or two warm up beverages, we headed on upstairs to the sound of the new EGG residents Sean & Liam Willers doing what they do best in kick starting a busy terrace off with back to back sounds of high energy, fast paced beats, including G-Rom’s- there’s something in the air. With a remix for David Glass to be released soon and 2 tracks coming out on Natura Viva, the brothers surely proved why they are becoming a big deal for 2015. Following the double act was dutch based and mobilee records regular William Kouam Djoko sending his audience into a dramatic fist pump, with an enthusiastic set which spurred us on to head downstairs to ground floor antics with futuristic sounds from Ranacat, throwing us back into original Detroit house vibes. Tracks including Cajmere – Feelin’ Kinda High and Sidney Charles’ Hustler Stomp were to be boshed out and much appreciated by the young, cool and creative Southern crowd. Every artist on the label really showed off their uniquene skills and it was difficult to stay in one room for more than half an hour. Next to hit the ground was a collection of talents from Frenchman Lee Van Dowski with some swinging, soulful techno, proving to be the highlight of the night. His latest track – 050504 is one of the most popular releases from Mobilee for some time and really captured this EGG dance floor. With tribal beats, a meaty bassline and colossal track selection, this had to be the most enjoyable set. Closing the room’s doors with another intrepid bassline to see the night through was Ray Okpara, making it an experience to remember. Meanwhile above, Rodriguez Jr. continued to charm the terrace away, combining house and techno beats across multiple samples of genres and finishing up with main man Ralf Kollman, who alongside Anja Schneider is the figurehead of the Record label. Even as the lights were turned on, I still felt as if I was in the middle of the same crowd at the start of the night.